It’s that time of the week again, Mandatory Nation. The middle of the week is always a hurdle we clear on the way to Friday and doing so is worthy of celebration. 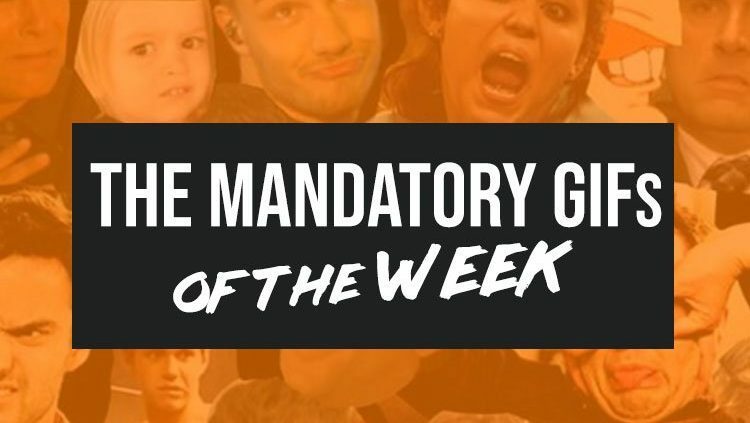 But since we don’t have any fireworks, confetti or champagne to celebrate this progress, we’re more than happy to supply you with some fresh Mandatory GIFs of the Week. Get your scroll on and pat yourself on the back because you’re almost to the weekend.